Recycling at work is good for business. Encouraging a “Can Do” attitude among staff helps your organisation make a real difference to the environment, and it could also have a positive impact on your bottom line. An empty drinks can collected for recycling can be reprocessed and manufactured into a new can (or car part, or food tray) in just eight weeks. And each time it’s recycled it saves energy, cutting the carbon footprint of the next product made. 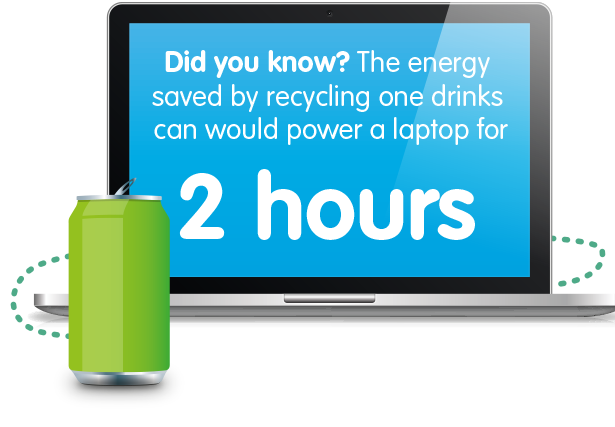 Every Can Counts helps all kinds of businesses and organisations – large and small – with the logistics of setting up a new drinks can recycling system, and shows you how to communicate with staff, and customers, to achieve the best chance of success. Every Can Counts is an effective and highly visible scheme that demonstrates to employees, customers and suppliers that your organisation is serious about sustainability. And it’s not just about cans: many businesses find that introducing Every Can Counts in their organisation leads to a greater awareness of recycling of all materials, and increases staff buy in to existing recycling programmes. 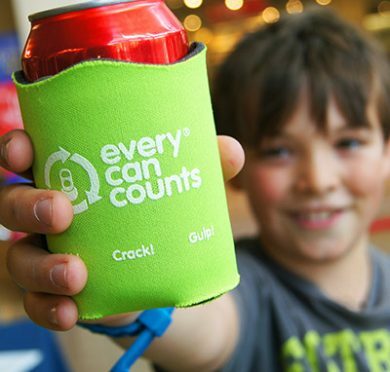 Once you sign up, you could be collecting cans within a week. Every Can Counts can slot easily into your current recycling or waste programme, and it’s quick and easy to get started. If you don’t currently have a can recycling programme we can help you to find a suitable contractor in your area. If you already collect cans but want to give your recycling programme a boost you can use our communications materials to give it a refreshing new look. Many resources can be downloaded, most are free and all are available through this website! Most businesses that implement recycling schemes find them more cost effective than general waste disposal. Can recycling help me to achieve ISO:14001? Can Do. Every Can Counts helps businesses, schools, universities and local authorities to set up schemes in offices and work environments, but we also offer advice and communications materials to promote ‘on the go’ recycling in public spaces, like parks or at the beach. We work with events organisers too – throughout the summer, you’ll find us promoting drinks can recycling at a range of music festivals like Electric Picnic – Ireland.